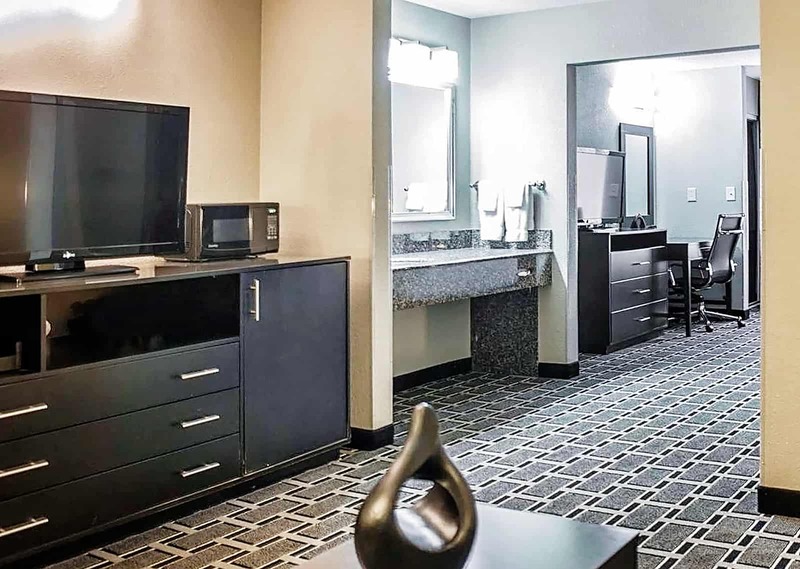 Airport hotels are notoriously slummy, but Comfort Suites Airport in Nashville was a pleasant surprise. 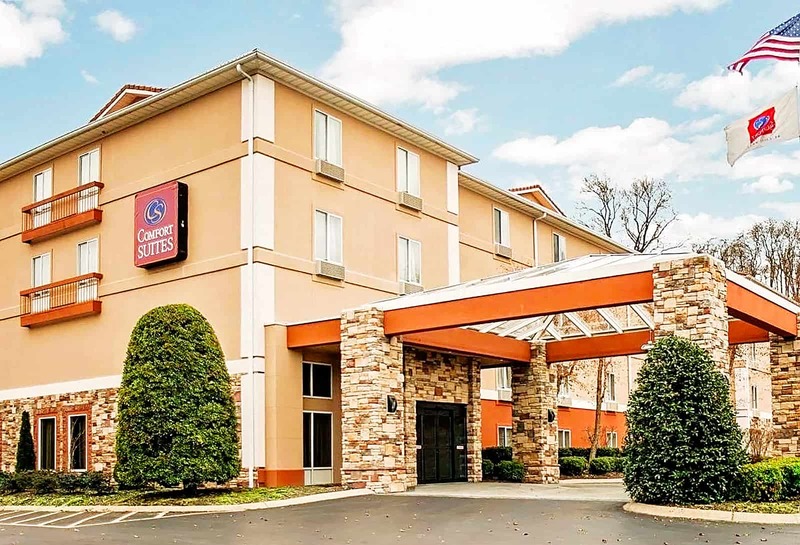 This 94-room property, built in 1995, is a gem in the Choice Hotels chain, and it’s my new favorite place to stay when visiting Music City. The four-story building is situated high on a hill, with no adjacent businesses, which gives it a quiet, secluded feel, but it is easily accessible to I-40, and Nashville International Airport is only 1.5 miles away. 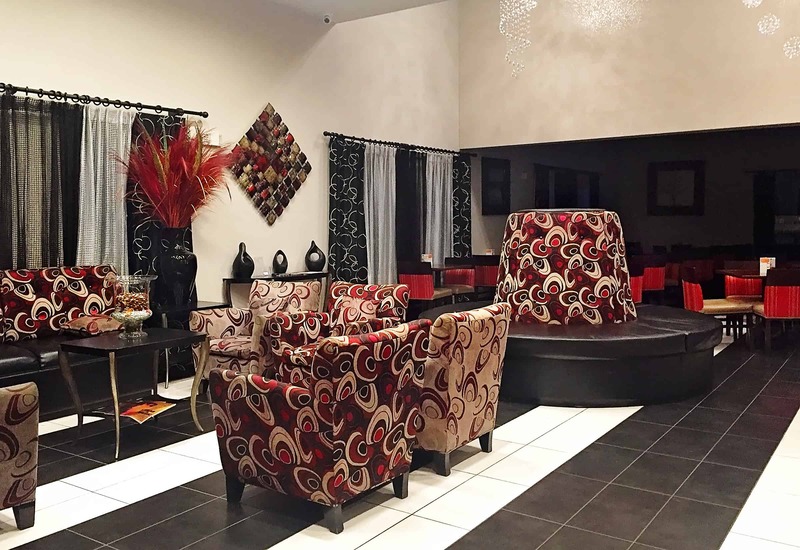 The spacious lobby makes a nice first impression, with a modern decor, high ceilings, and chandeliers.And if you’re lucky, as I was, to check in Monday through Thursday, you’re in for another unexpected treat — a complimentary supper served in the breakfast area. On the two nights I ate, they served barbecue pulled pork sandwiches with cole slaw. Sadly, there was no dessert, though other reviewers say they received banana pudding. Some say the suppers include beer on tap, but I didn’t notice. If you want it and don’t see it, there’s no harm in asking. The desk staff is friendly, particularly the night staff, and they have a small convenience store which sells bottled drinks, TV dinners, candy, and a few things like headache medicine and allergy medicine. The prices are reasonable, but after a week of midnight snack runs, I depleted their supplies, and they were not replenished. 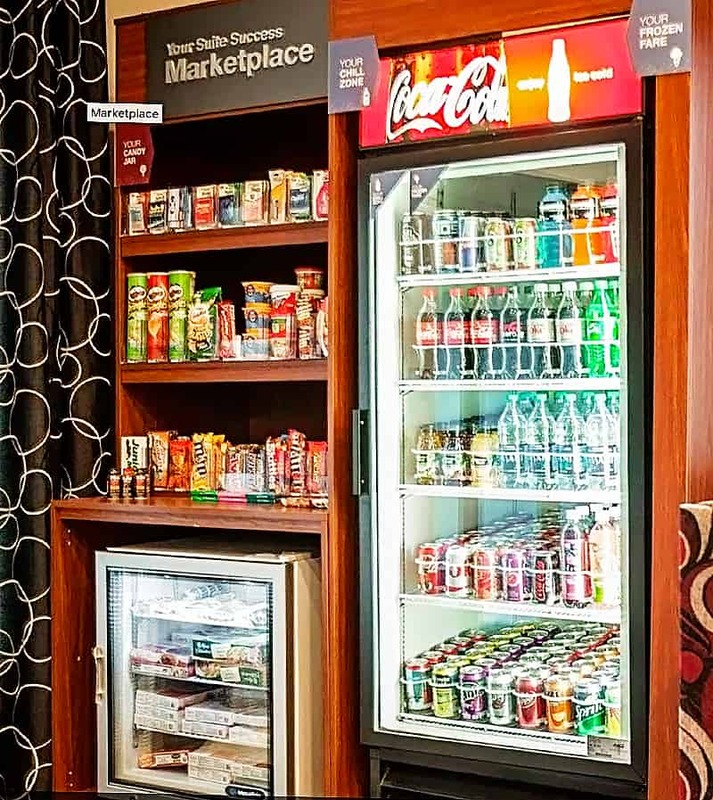 There are no Coke machines or vending machines on the premises, so you might prefer to bring your own snacks. I began my stay in room 306, a standard room with a king size bed. It was spacious and had two dehumidifiers, which concerned me, but I had no problems with dampness while there. The next night, I wanted to renew my room, but they didn’t have any similar rooms available, so the desk clerk upgraded me to a presidential king suite, room 309, for the same price as a regular king suite, at $150.92 per night. 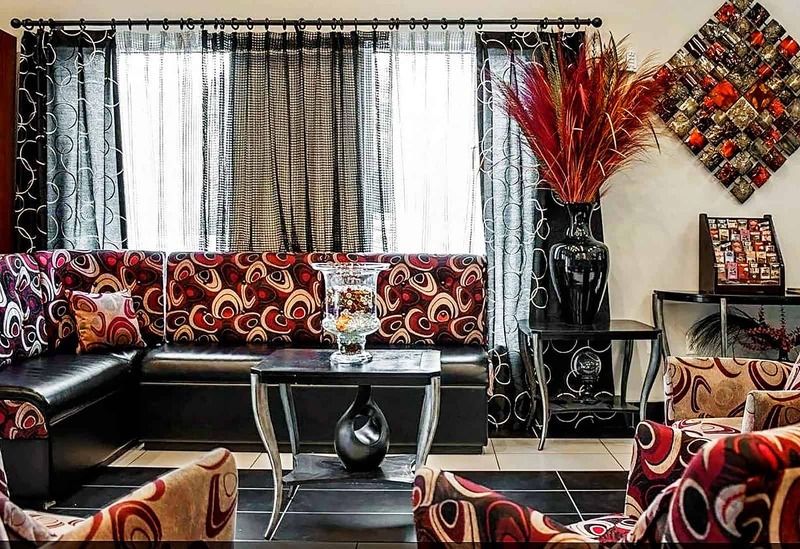 The first thing you’ll notice is the red and black decor and the spacious, 520-square-foot floor plan (compared to a standard, 420-square-foot room). 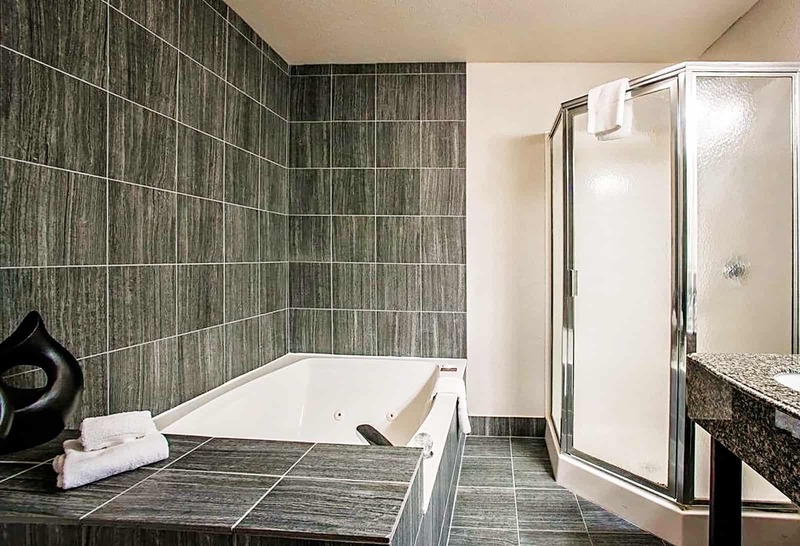 The suite includes a living room, bedroom, and a large bathroom with a whirlpool bathtub and separate shower. (More about that later). There is also a balcony with a sliding glass door and air conditioners and flat-screen televisions in each room. I had a love/hate relationship with the bed. I am 5 feet and one inch tall, so most pillow top mattresses are a bit high, but this bed exceeded all reason. The only way I could get into it was to take a running jump, which was annoying. Even my considerably taller companion commented on the excessive height. A step stool would have been convenient. Once I made it into the bed though, I didn’t care about the difficulty of getting in because I didn’t want to get back out. The bed was extremely comfortable, with crisp, white sheets that felt brand new. The closet, with full length mirror on the door, was extremely small, so I put most of my stuff on the long countertop in the living room. The whirlpool tub came with a pet — an earwig — and looked vaguely unhygienic, so I avoided it, but the roomy, glassed-in shower was wonderful, with excellent water pressure. The double sink and granite countertop was a nice touch, as were the fluffy white towels, but it would have been improved by better lighting. 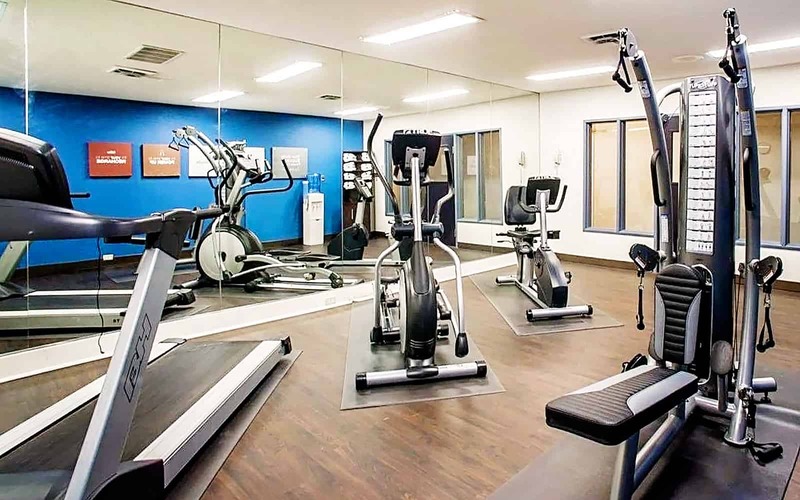 This hotel offers basic amenities, including elevators, high speed wireless internet, a fitness center, a business center, and a laundry area. They also offer a 1,242-square-foot event space, with table, chairs, and an LCD screen. The indoor pool area is nice, and the skylights give it a bright, airy feel. (I’ve been told that this is being converted into an outdoor pool.) The shuttle was handy, offering transportation to the airport as well as to downtown Nashville. Since it was cold outside and I had my car with me, I didn’t use either of these amenities. Breakfast was your typical Choice Hotels fare, which is never very remarkable. They offered the usual assortment of pastries, scrambled eggs, sausage, oatmeal, fruit, yogurt, and waffles. No pets are allowed, which is always a bummer as I frequently travel with my dog. If you’re accustomed to stumbling out of your hotel and walking to a nearby restaurant, you’re out of luck. Though the hotel is centrally located, you will have to drive as there are no businesses immediately adjacent to the property. However, it’s a short trip to wherever you might want to go. Opry Mills mall and the Grand Ole Opry is five miles away, and downtown Nashville (along with your closest Walmart) is eight miles away. Monell’s, an upscale restaurant, is 8.3 miles away and is an excellent supper choice. 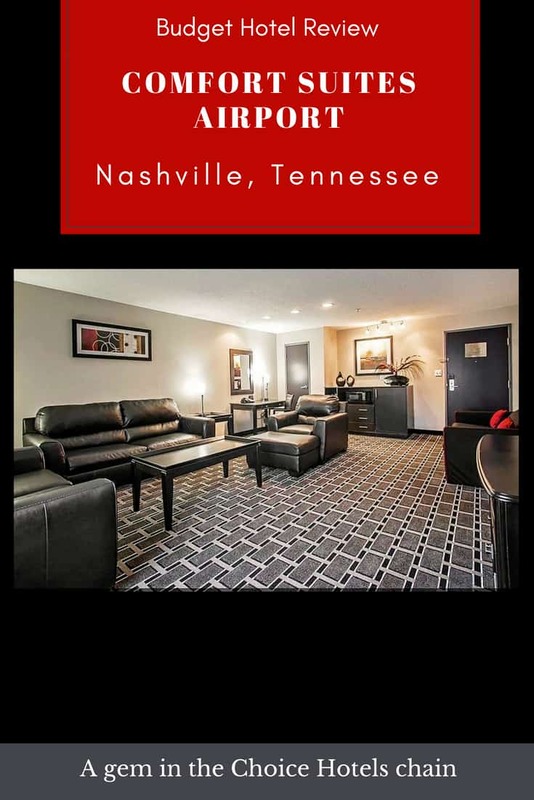 I’m giving Comfort Suites Airport in Nashville 4/5, only because I rarely give five-star ratings. I would happily live here. Other reviews were mixed, with some complaining that the hotel is outdated and noisy and could be cleaner. Renovations are currently underway and scheduled for completion by June 2018, so perhaps those issues will be resolved. 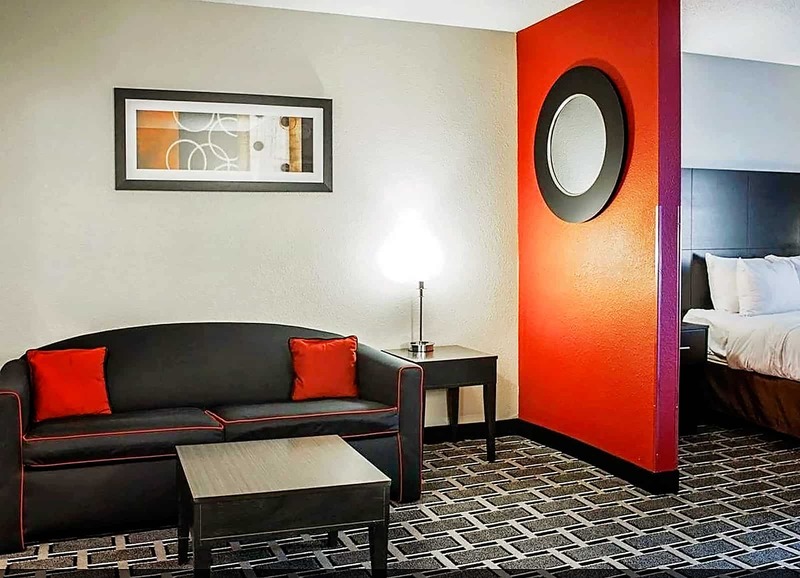 Pro tip: Ask the front desk for a recently renovated room, and try to score an upgrade. 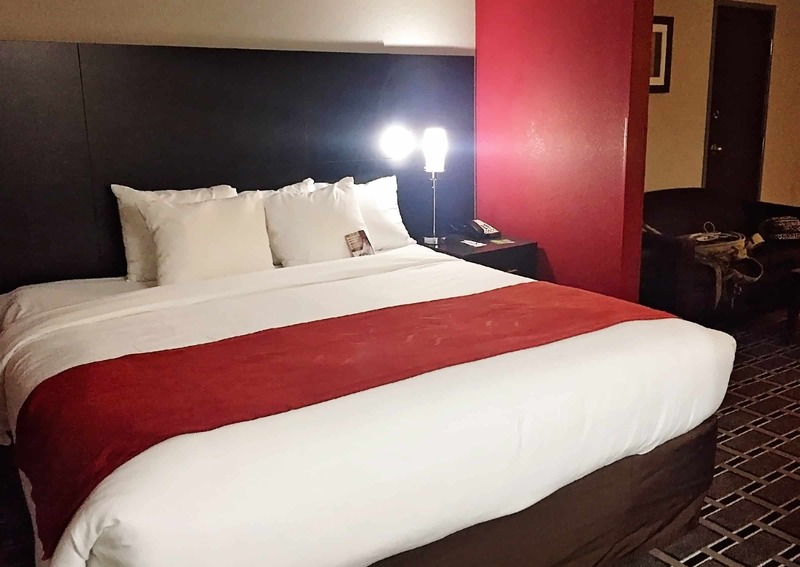 Trip Advisor reviewers gave Comfort Suites Airport in Nashville 4/5. 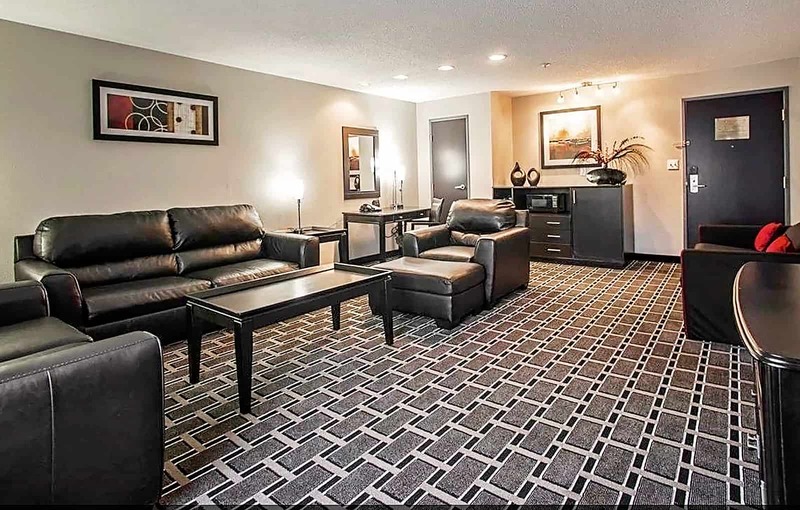 Yelp reviewers rated Comfort Suites Airport in Nashville 3/5. Comfort Suites Airport impressed me. It was a good value compared to similar hotels, and I liked how clean and spacious the rooms were. I would definitely stay here again, but your mileage may vary. You shouldn’t use your Choice Privileges points here. If you do, your stay will set you back 25,000-30,000 points per night. It’s a nice hotel, but that’s ridiculous. Most Comfort Suites charge 16,000-25,000 Choice Priveleges points per night. Have you stayed here? What did you think? Notes: All reservations made for Friday and Saturday, or during special events, require a credit card guarantee. Check to make sure the shuttle is complimentary as some people report being charged for downtown trips. Some people also report being charged $15 for parking, though I did not experience that.